Yesterday the girls and I spent the entire day running around the city doing errands. We didn't get back until after dark, around 7:30 pm. As we drove past our friend Enola Gay's "shouse" (shop/house), we noticed their off-grid place looked darker than usual. Bu we were tired and hungry and anxious to get home, so we didn't think much about it. Until this morning when I logged onto her blog and realized that no, we weren't imagining things. They were in the dark. Anyone who thinks off-grid living is easy, cheap, convenient, and (most importantly) trouble-free is living in a fantasy world. Oh...they probably just wanted to go for the romantic and nostalgia-inducing atmosphere...NOT!!! Hope it's another fix as simple as washing down the solar panels...and as inexpensive. In the meantime, prayers up for their safety and protection. 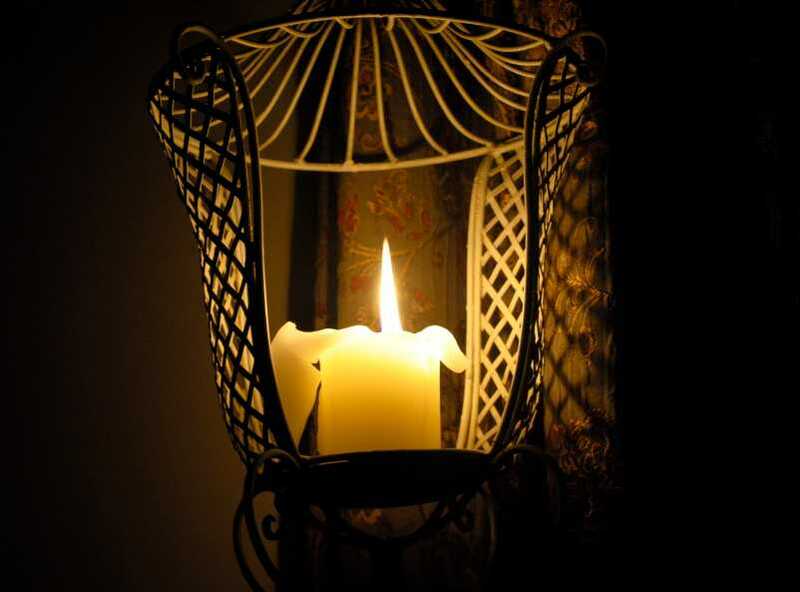 Life with lamps and candles requires vigilance and care at all times. Looking forward to the "all clear" update soon. I have never gone that far overbourd Patrice. Do your own thinking, pay your own price. Does anyone know what those beautiful blooming short-full blossomed trees are on Eagle Rd? They have fushia pink blooms and are full, droopingly gorgeous.